This review is about item#7699176. 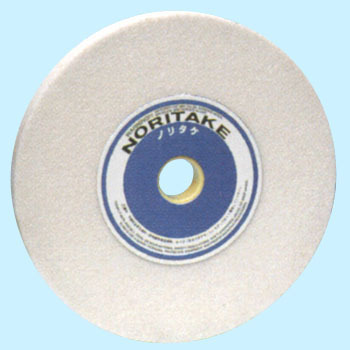 Conventionally, WA of grain size 60 was used, but recently there are many occurrences of fine powder during grinding, so consult with Noritake. I tested it with a grain size of 80, which was a good result. This review is about item#8134034. We are looking for machining work easier if there is a type with a little thin thickness. This review is about item#7699063. Purchased abrasive grains 80 and 220, mounted a spacer on the grinder and two side by side. It is used when polishing a drill of about 1.5 mm to 6 mm φ. Why did not you buy it until now? I could buy as much as I thought. This review is about item#7699072. This review is about item#7699045. Please indicate the part number on the disc body. It is inconvenient to simply reorder the same thing. I wanted the eyes to be a little more detailed, but I did not understand the details. Since cracked items arrived, we had them replaced. Although excess packaging is unnecessary, things that are easy to crack wish suitable packaging. Product can be used without problems. I feel that the grinding power is stronger than the orange grindstone. I thought that there was considerable hardness by using a general purpose bit (binder), but I could easily correct the surface by diamond brick dressing. However, although it is hope for Monotarou future, there were a few scratches that seems to hit while the whetstone and diamond bricks are being transported. There was no problem level because it was dressing. I will tell you that this kind of hand in the packing box needs to be devised not to move. I use it for drill polishing and thinning of about φ1 ~ φ3 with a grain size 220, 150 x 6.4 x 12.7 and a thin and thin grinding stone. It was difficult to use and easy to use stone when thinning was reduced. It has hardness and can be polished cleanly. A WA GC think that it will improve usability if you arrange it. This review is about item#07699167. It is early to fall. This review is about item#07699185. (3 points closer to 19800 yen) I bought a desktop bench grinder GD-200 + diamond dresser set and purchased additional because the roughness of the grinding stone did not match the intended use. It has become possible to polish very well using it by lowering the rotation speed of the grinder. This review is about item#07699106. It was very easy to use. This review is about item#07699045. It was ideal for sharpening missing knife. Made in China Mounting on the main body, polishing of dust etc. I used it attached to a cheap Chinese made body, the grinding stone attached at the beginning was eccentric or the vibration was intense, but it changed to kore and it became no vibration. It is very easy to use. I think that it is better to use good ones even if the main body is a cheap article made in China. This review is about item#07699081.